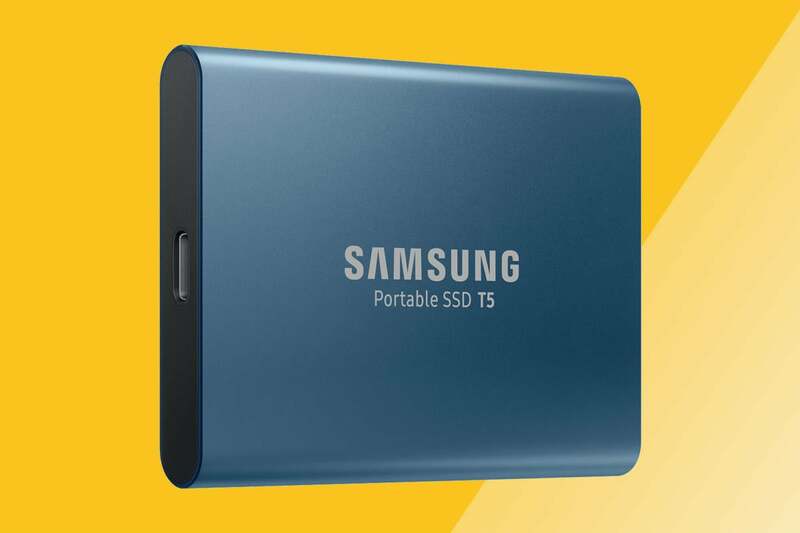 The 500GB Samsung T5 Portable is just $130 at Amazon. Upgrading to an SSD is the single best improvement you can make to your PC, but did you know it's possible to slip one of those speedy drives in your pocket and use it to augment any computer? It's true, and today, Amazon slapped a fantastic price on our favorite performance-based external drive. The 500GB Samsung T5 Portable is $130 right now. That's $60 under the retail price and $20 cheaper than it was just a few days ago. The drive uses a state-of-the-art Type-C USB 3.1 Gen 2 connection with an upper limit of 10Gbps. In our tests, the T5 Portable could write 20GB worth of files in just under two minutes. Make that 20GB monster a single file, and the writing gets done in less than a minute. It's also tiny at a mere 2.3-by-0.4-by-3 inches and 1.6 ounces (0.1lb.). That's not just portable, it's ultra-portable, and the Samsung T5 offers a ton of high-performance SSD external storage for its price. This would be a great drive for housing some extra games if you need it, or a portable container for your media library.